When I give you the word "mallow" you may well think of the marshmallow sweets but the type of mallow I want to talk about is actually any one of a large family of flowers. The Mallows, or Malvaceae, are edible plants that usually have attractive blooms as well. Actually the marshmallow confection was originally made from the roots and sap of the Marshmallow plant (Althea officinalis). This species is still used in herbal medicine but more about its use to make sweets later on. Some species of Mallow are very common and grow as weeds in many parts of the world but others are very restricted in their distribution and rare plants of interest mainly to botanists. 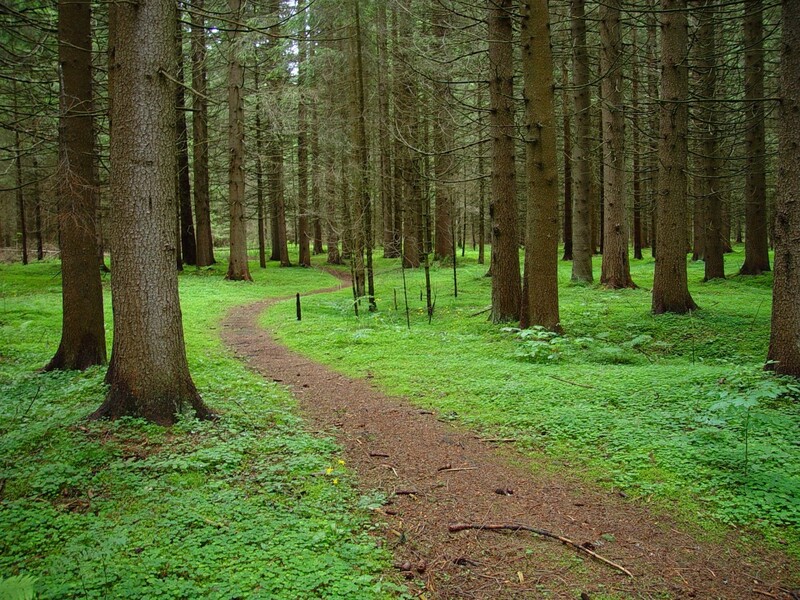 These edible plants can be collected when out foraging, or wildcrafting, as this popular activity is also known. Some types of Mallow are grown in gardens, as are many of their relatives such as the Hollyhock (Alcea). The Hibiscus (Hibiscus rosa-sinensis) is closely related to the mallows too. The Common Mallow (Malva sylvestris) is often found growing on railway banks, along roadsides and in waste places. or as a weed of cultivated ground. 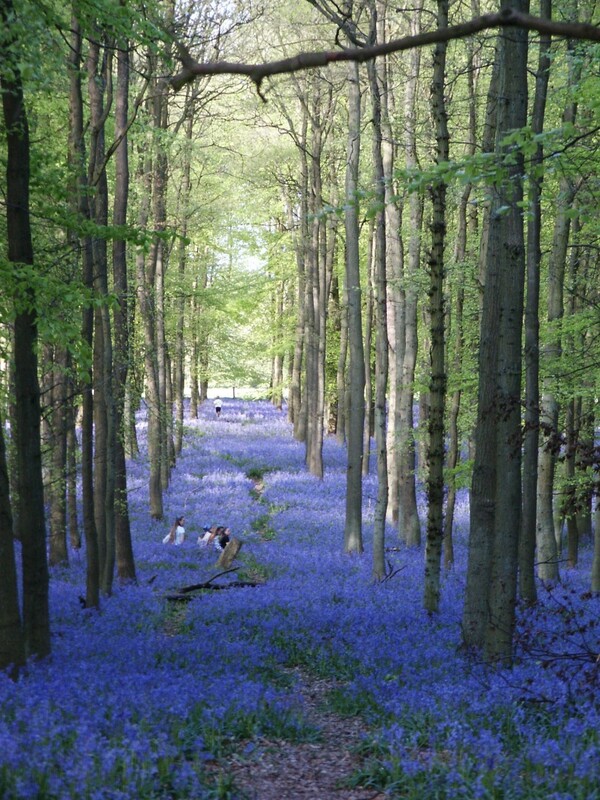 It is native to the UK, Europe, Asia and North America but has colonised other areas. A perennial plant that can reach as much as 3 ft in height, the Common Mallow likes a sunny location and produces pretty pink-mauve five-petalled flowers from summer into the autumn. 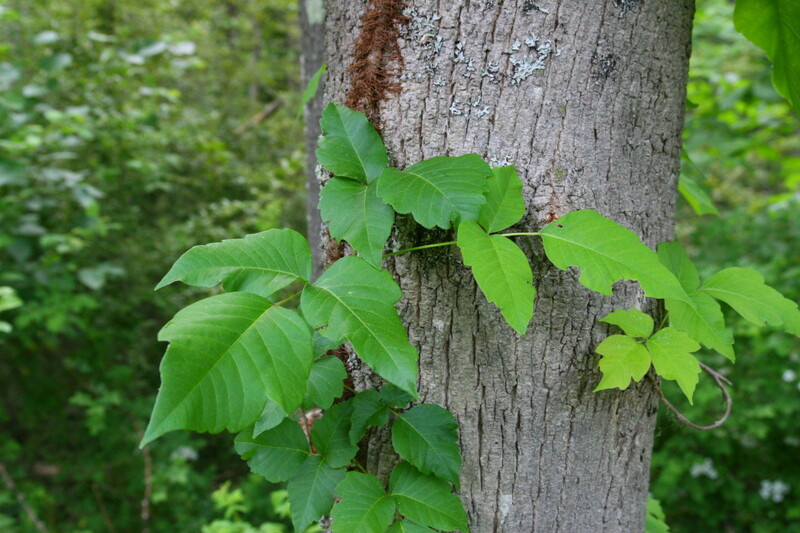 It is bushy but can be straggly and has ivy-shaped 5-7-lobed and soft-feeling leaves. Local names in the UK include "Billy Buttons" in Somerset, "Bread and Cheese" in Dorset, "Horse Button" in Donegal, "Maws" in Nottingham, Northumberland and Scotland, "Pancake Plant" in Somerset and Lincoln, and "Round Dock", again in Somerset-shire where there as many as 20 names for the plant. The rounded seeds of Common Mallow are called "cheeses" and are pleasantly mildly nutty to taste. Young leaves and shoots contain vitamins A, B1, B2, and C, and can be eaten raw and added to salads or cooked. Many old herbals and household books have recipes for cooking Common Mallow leaves with butter and with vinegar, as well as for making a type of candy from the stalks. Because of its uses as an edible plant, Richard Mabey in his classic work Food For Free, grades the Common Mallow as being of a topmost 'A' quality. This book is a brilliant guide for anyone who wants to learn about foraging because it gives most of the edible fruits, flowers, leaves, roots and fungi that can be found in Great Britain and Europe, as well as having colour illustrations to help you identify them correctly. 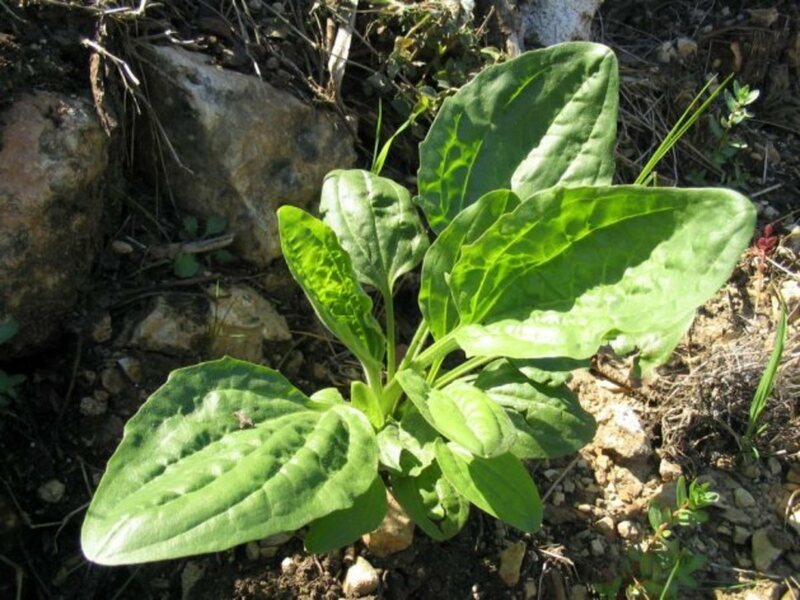 It was cultivated by the Romans for its culinary and medicinal uses. 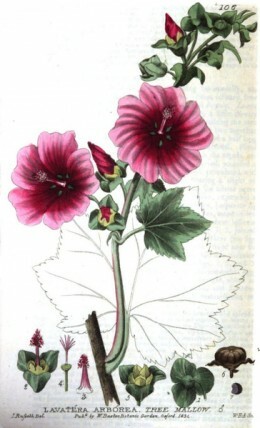 By the 16th century Common Mallow had a reputation as a cure-all. Tree Mallow detail, from British Phaenogamous Botany, 1835. Tree Mallow (Lavatera arborea) is, as its name suggest, a tall plant. This species can grow up to as much as 3m in ideal conditions and with a trunk-like woody stem that is broader at the base and tapers into thinner branches. Tree Mallow grows wild on cliffs by the sea and seems to relish being in exposed conditions, although it will also grow well in gardens where it will readily self-seed itself around the place. 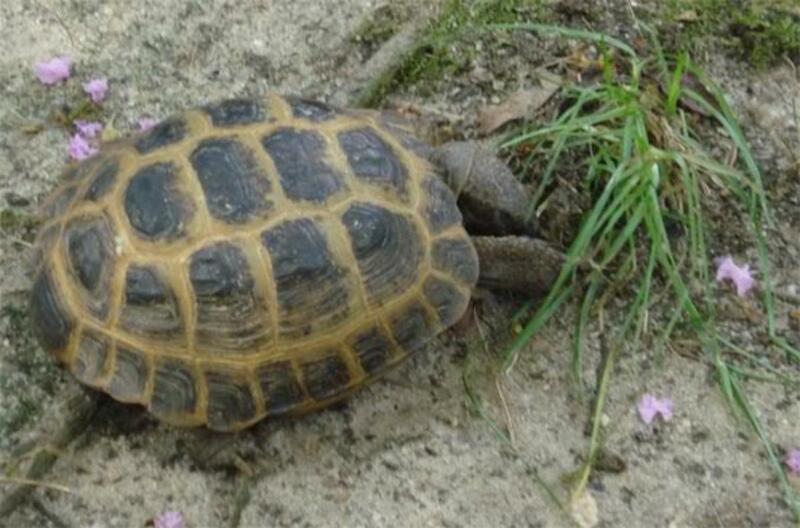 It is found on coasts around the UK, Europe and the Mediterranean. 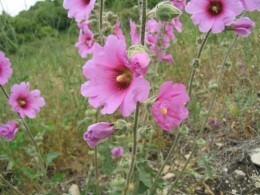 Tree Mallow has 3–4 cm diameter, dark pink to purple flowers. When it full bloom the Tree Mallow is a very attractive plant, but after flowering it usually dies. It is an annual, biennial or perennial in habit and will also sometimes survive another year if pruned back after flowering. Tree Mallow has the ability to withstand salt-water spray when growing near the sea. Its seeds can also tolerate long periods before suitable germination conditions are met. Tree Mallow sometimes is found growing on islets and small islands on the coast. 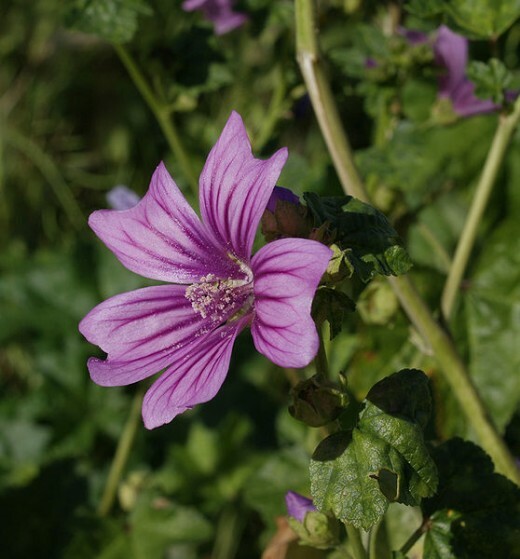 Tree Mallow has been used as a poultice in herbal medicine to treat sprains and burns. The leaves, flowers and seeds are edible like other species of mallow. The Marsh Mallow (Althaea officinalis) is a plant in the Mallow family that gave its name to the popular sweets eaten today. The Marsh Mallow grows to about 2 m in height and is found on banks, in damp grassy places and salt marshes in the UK and Europe. It is a perennial plant with pale pink flowers. These flowers and its young leaves can be added to salads and the roots and leaves can also be boiled as a vegetable. The roots were once used to make a confection that later gave its name to the marshmallow sweets made today, although the modern sweetmeat is not made using the plant but with sugar, gelatine and starch. Marsh Mallow used to be gathered by the wives of fishermen in the salt-marshes of the East Coast of Britain where the plant still can be found in places. The Marsh Mallow root was used in ancient Egypt where it was combined with honey to make a confection that was also used to treat sore throats. Mallows have many medicinal uses as well as being edible plants. Mallows contain a high proportion of mucilage that is a treatment for inflammation. Infusions of Mallow species can be used as remedies for bronchitis, coughs and throat infections. Mallow leaves can be used as a poultice to treat skin complaints such as eczema and to bring relief to insect stings and bites. Mallow has expectorant properties too and in large amounts the herb acts as a laxative. There are very many plants related to the Mallows that are cultivated both as crops and as garden flowers. The Hibiscus (Hibiscus rosa-sinensis) is a pretty ornamental shrub often grown in subtropical parks and gardens. There are many Hibiscus species and varieties with very colourful flowers. The Hollyhocks are popular garden flowers that grow tall and are showy with their large blooms. Cotton (Gossypiumspecies) is another relative of the Mallows. It is a widely-cultivated crop grown for its fluffy fibers that are used to make clothing and other products. Cotton plants have large flowers and leaves that resemble other species in theMalvaceaeso it is not surprising to find that they are related. The Mallow family is a very large one with a very great number of very useful plants in it, as well as lots of wild and garden flowers that are edible.